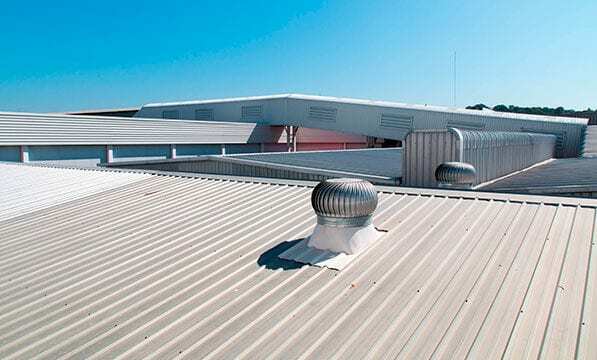 Commercial Roof Replacement Dallas | How Often Do Roofs Need to Be Replaced? The roof of a commercial building is vital to the ongoing business and living that goes on under it. If the roof begins to fail, those roofing problems can delay or even halt business operations costing you time and money. Unfortunately, a commercial roof cannot last forever, so at some point, it is necessary to replace it. Baker Roofing & Construction Inc. is the expert your commercial building in Texas needs for a total roof replacement. Baker Roofing has technicians that are trained and skilled in all types of commercial roofing materials and installations. They are trained for removal of the existing roof and installation of the new one. Commercial roof replacement involves working around roofing structures such as HVAC, vents, and stacks. 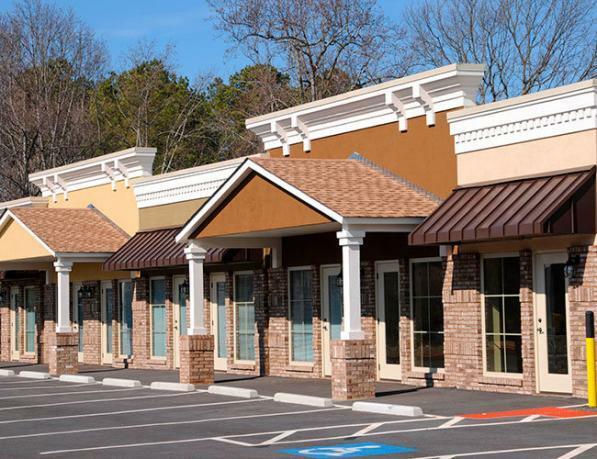 Your choice of materials for your commercial roofing project is dependent on several factors. The predominant factor is the slope. Flat roofs (usually pitched between 2 and 10 degrees for water runoff) require expertise in different materials than a slanted residential roof. If it is a flat roof, Baker Roofing offers several commercial roofing systems such as TPO (thermoplastic olefin), elastomeric coatings (rolled on and sprayed), PVC, modified bitumen, and EPDM rubber. 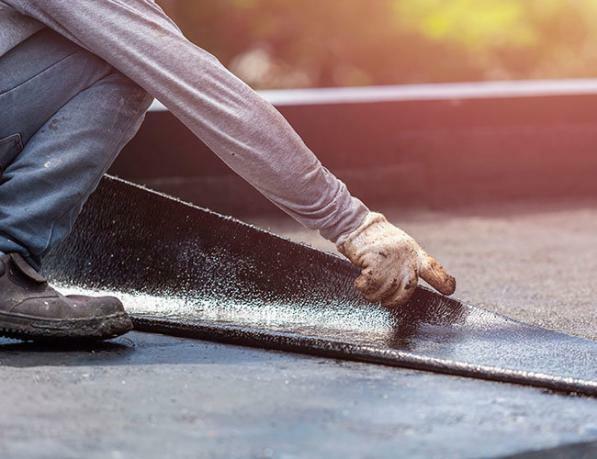 Advances in commercial roofing products, such as Elastomeric roof coatings, have allowed business owners to extend the life of their commercial roof at an affordable price. If you have a sloped roof structure similar to a residential roof, your options include composition shingles, corrugated metal, standing seam metal, slate, tile, and stone coated steel. When replacing your commercial roof, Baker Roofing will also take into consideration all environmental factors such as wind, storms, intense heat, and surrounding terrain. This allows us to recommend the correct roofing material for your commercial roof. If you are filing an insurance claim, we will work with your insurance company on your behalf to determine specification guidelines to provide a roof that is secure. We also work with you, the client, to offer alternate solutions, if desired, ensuring that you are getting the most value from your insurance claim. Safety on your rooftop is an important concern, for your roofer and for any other contractor that may need to be on the roof. Our certified commercial roofers work within OSHA guidelines and use only the most advanced safety techniques. A commercial roof replacement is a valuable investment in your commercial property. We will guide the business owner, manager, or property management company in the decision making regarding materials, repairs, timeline, and costs. We will honestly advise you as to where money can be saved and where you absolutely cannot cut corners. When it comes to commercial roof replacement, Baker Roofing & Construction Inc. understands all types of commercial roofing. Our specialized roofing technicians will work directly with the commercial building/manager to ensure a roof replacement that meets the needs of the business operating beneath the roof. Our professional roofing company will provide the client in with a roof replacement tailored to fit your commercial building and your business. When your commercial roof replacement is complete, you will be glad you hired the experts at Baker Roofing & Construction Inc.